When I started learning Chinese, I wanted to expand my reading beyond the textbook we were using in class. This is not as easy as it sounds. When I learnt English and French, it was easy to find reading material. There were many graded readers, books for children or young adults or other learner-friendly reading on offer. With Chinese, it’s not that easy for several reasons. First, picking up random book for children is not a good idea. It will likely contain lots of words you have never heard and probably don’t need to learn. While I haven’t done a proper study of children’s literature in Chinese, it seems that it’s mainly meant to teach kids more characters, words and idioms. What you need as a second-language learner is not the same as a kid who can already speak fluently and is beginning to explore the written language! Second, there used to be a dearth of reading material targeted directly at second language learners. This is partly why I think textbooks are so useful and often suggest that students use at least one extra series of books in parallel with the main one. This has gradually changed and there are now many more resources available for beginners who want to expand their horizons beyond the textbook. In this article, I will introduce some of my favourite reading resources for beginners (or intermediate learners who want to broaden their base). If you think I’ve left out something important, please leave a recommendation in the comments! As usual, all these resources and more are listed on Hacking Chinese Resources. This is a series of graded readers edited by John Pasden and published by Mind Spark Press LLC. There are currently books available at level 1 (300 unique characters) and at level 2 (450 unique characters). I have reviewed all the level 1 books here. In general, this is a great resource for learners. If you know less than the required amount of characters, this is still good practice; you can rest assured that most characters and words you learn here are actually useful. However, these books also work for intermediate students to increase the reading volume and pick up a few extra words and added character familiarity. Learning Chinese is not only about the language, it’s also about the Chinese-speaking world and what happens there. 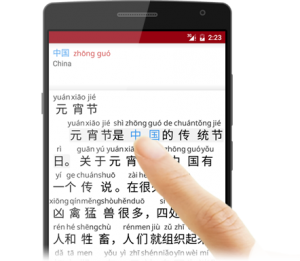 The Chairman’s Bao offers news in Chinese, written for language learners sorted by HSK level. Each news article comes with text and audio. There’s also a live dictionary which you need to sign-up to use, but personally, I think the site is quite useful without logging in, just use any pop-up dictionary. Each article has audio, which isn’t particularly well-produced, but much better than nothing. This is a great resource for large volumes of reading and listening practice, combined with news updates. Note: Since publishing this article, this service now requires a subscription. My recommendation of the content still stand, but if it’s worth it or not is of course up to you. This is a reading app that contains a number of lessons for beginner, intermediate and advanced students. Apart from the reading material, there is also recorded (not synthesised) audio. The app also has a built-in dictionary. The combination of these features makes it a valuable asset in your reading-practice arsenal. Of course, you could also use it for listening practice and read the text only after you have tried understanding the spoken audio. This is another popular series of graded readers that have been around for a while now. 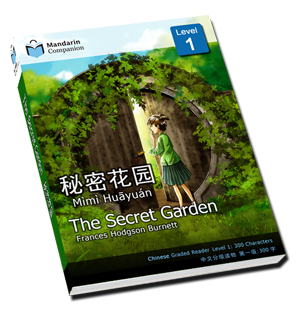 While they offer a broader range of books on more levels, I think the stories are somewhat weaker than Mandarin Companion. However, if you take the quantitative approach to Chinese reading ability, you don’t need to choose! By the time you’ve gone through both series of readers, you will have a solid foundation. The levels are almost the same as for Mandarin Companion, starting at 300, then increasing to 500 and, finally, to 750 unique characters. 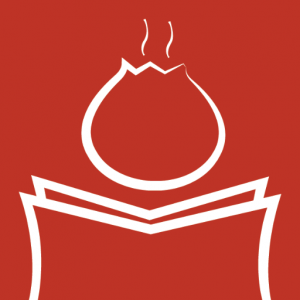 You might think it’s strange that I include a podcast in a list of beginner reading materials, but ChinesePod has such a huge library of lessons that even if you listen day in and day out, you won’t risk exhausting the listening material there. This means that you can use some of it for reading practice instead. All lessons are constructed with language students in mind, include vocabulary lists, grammar explanations and much more. 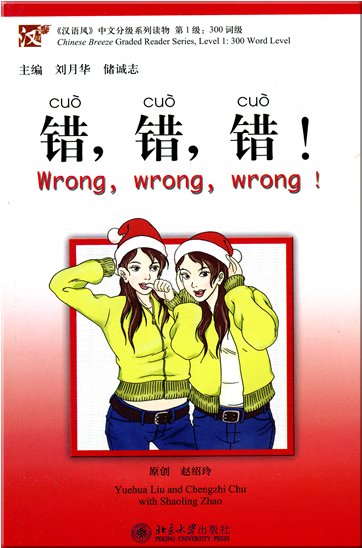 By only reading the actual dialogues, you can also avoid most of the English, which is a problem for the audio lessons. There are of course more reading resources out there and my goal in this article wasn’t to list all of them. As usual, you can find more over at Hacking Chinese Resources. Simply select “beginner”, “reading” and “resource collections” and you will find more than ten collections to check out. Or just click here. Do you know of a beginner-friendly reading resource that beats the ones I have listed here? Please leave a comment, I’m sure I’m not the only one who wants discover more learning resources! Good write-up! I wasn’t aware of “Du Chinese”, seems like something I ought to check out. As regards Mandarin Companion vs. Chinese Breeze, I’d say I find the latter to be better value for the money overall. Not only are the Chinese Breeze volumes cheaper, they also come with audio CDs (consisting of protection-free MP3-files) that are very good quality. I really wish the same was true for Mandarin Companion, because I agree that their stories are usually more engaging than Chinese Breeze’s. With the shortage of graded readers available I guess I would recommend buying all the books from both of these series (as I have done myself), but if I had to choose one I’d go with Chinese Breeze because of the available audio CDs. Great collection! Decipher Chinese is pretty good for beginners, too. Looks similar to Du Chinese (which I haven’t tried yet), but it’s pleasant to use and they regularly add content. What about the “Graded Chinese Reader” series? I have read books of levels 1-3 of this series and I quite liked them. The texts are more advanced than those in the “Mandarin Companion” and “Chinese Breeze” series, which makes them a good choice for the transition from the beginner’s books to the authentic literature in Chinese. And BTW, all texts in the “Graded Chinese Reader” series are abridged versions of the authentic stories written by popular Chinese writers. I wasn’t aware of that series, actually. I will contact the publisher and see if I can get some review copies. Thanks for the recommendation! Hi everybody, thanks to this article I discovered “The Chairman’s Bao” which looks great… But I think their site is a bit misleading, isn’t it? I signed up (but didn’t subscribe) and received a “welcome email” explaining I now have access to all sorts of great features… Only I don’t! The “read more” button takes me back to the Home page and the App on my tablet keeps shutting down as soon as I try and open a new tab… Anybody else having difficulties with the website or the App? Or is it simply that they’ve made all their resources available only to subscribers? I would actually consider subscribing but given the glitches on the App, I don’t feel so confident… Will check out Du and the other suggestions here. Many thanks! Update: I found this, perhaps related? “support” at Chairman’s Bao got back to me super quickly and they’re working on fixing the glitches. I agree with you, their offer is good and charging for it is reasonable and understandable. I checked out Du Chinese, which looks quite good as well and is easy to use. Thanks for your help and for all the good tips you share in your articles! Thanks to this article I just started using Du Chinese and I have to say it’s a really great resource. Actually my reading is pretty good, however my tones are terrible (of the words I can read, I probably truly remember the tones of about 20% of them). Because the articles already have the tone marks it means I can sit and read an article aloud without having to check a dictionary to find the tone constantly. I think this can be a great help to slowly committing more and more tones to my long term memory. Chinese Breeze now has two books of level 4 (1100 words). I think hskreading.com is good for anyone who wants to find Chinese reading material. It provides English translations which really helps beginners understand the text. It doesn’t have Pinyin as default so it is hard at first but if you combine it with Anki it is great for learning Chinese. One good resource for improve reading is Chinese Skill, is an app for learning Chinese in general, it has a lot of features like SRS, word reviews, etc, but also has a large collection of simple written lessons with audio, English translation, pinyin, etc.